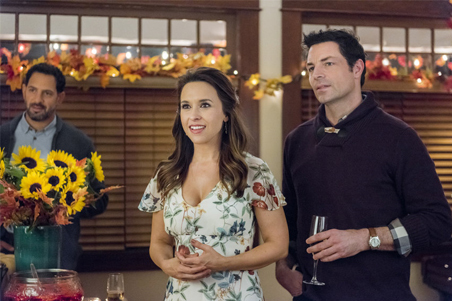 Its a Wonderful Movie - Your Guide to Family and Christmas Movies on TV: Lacey Chabert and Brennan Elliott star in sequel "All of My Heart: Inn Love" - a Hallmark Channel Original "Fall Harvest" Movie! 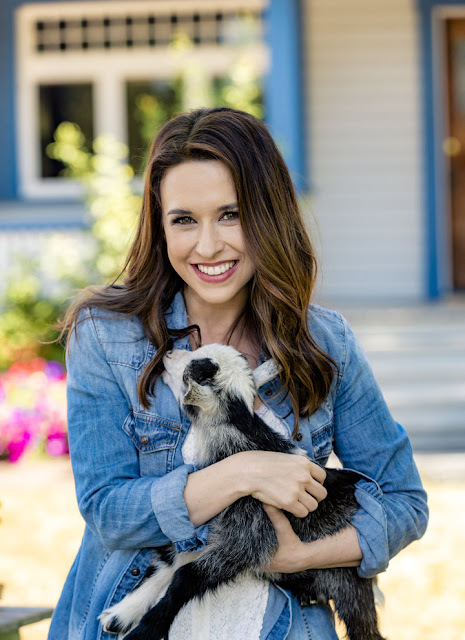 Lacey Chabert and Brennan Elliott star in sequel "All of My Heart: Inn Love" - a Hallmark Channel Original "Fall Harvest" Movie! 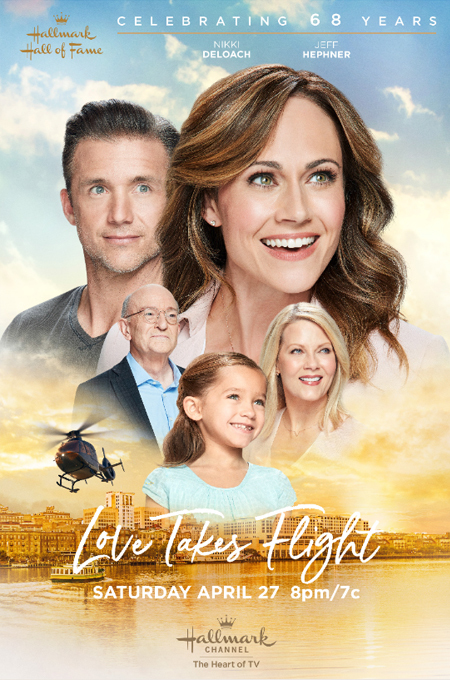 *This is a sequel to the Hallmark Channel original movie "All of My Heart" from 2015 - available on DVD! See where Jenny and Brian's story leads next in the storyline below! 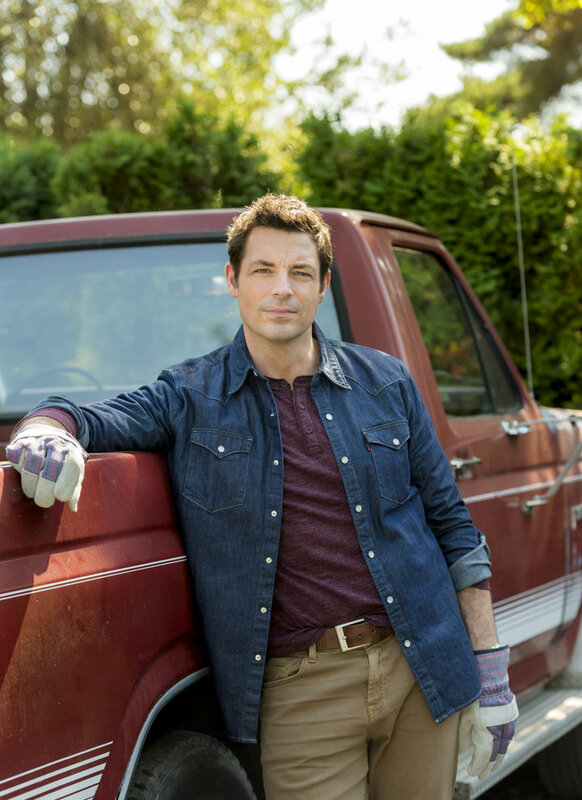 Storyline via Hallmark: Brian and Jenny are engaged and preparing for the grand opening of their bed and breakfast. But when a big storm hits Bucks County, all their plans end up sopping wet! With funds running low and time running out, Brian agrees to go back to Wall Street to make quick cash, while Jenny scrambles to keep the opening on track. More... When Jenny and Brian inherited a quaint bed and breakfast called Emily’s Inn the last thing they expected was to fall in love, especially since they are complete opposites. She’s an easygoing, caterer from Connecticut with a touch for conjuring up delicious dishes while he’s a hard-driving, Wall Street type with a knack for wheeling and dealing. Still, their chemistry is undeniable so they move to rural Pennsylvania to remodel their inn and eventually get married. But after a big storm proves the inn’s roof needs repair and their bills start to pile up, Brian jumps at the offer to do a few deals on Wall Street. Soon, he’s spending more time commuting on the train than with Jenny. Although romance is budding everywhere with the guests at Emily’s Inn, it’s fading fast between the inn’s proprietors. 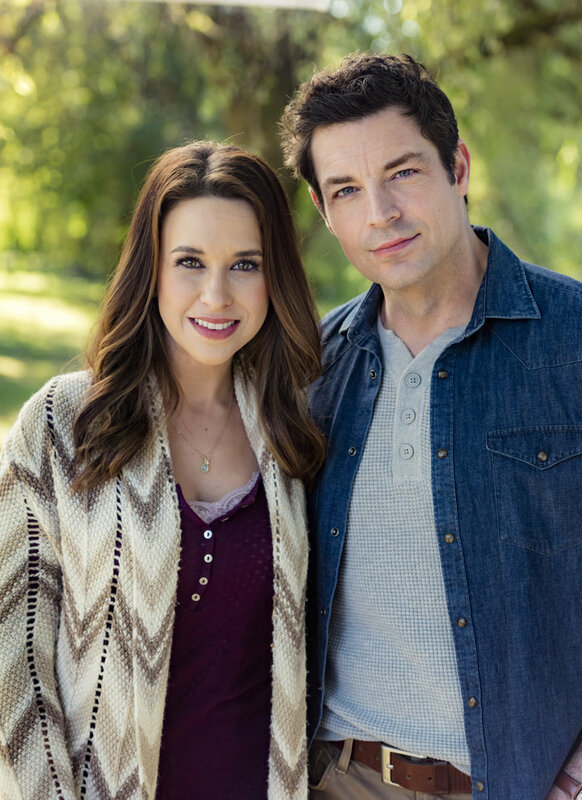 "Lacey Chabert and Brennan Elliott will win your heart over, once again, in “All of My Heart: Inn Love!” Seeing the next chapter in their love story, as Brian and Jenny’s relationship develops even further, was truly beautiful. I hardly felt, at all, like they were saying lines in a script. Everything seemed so real and natural. 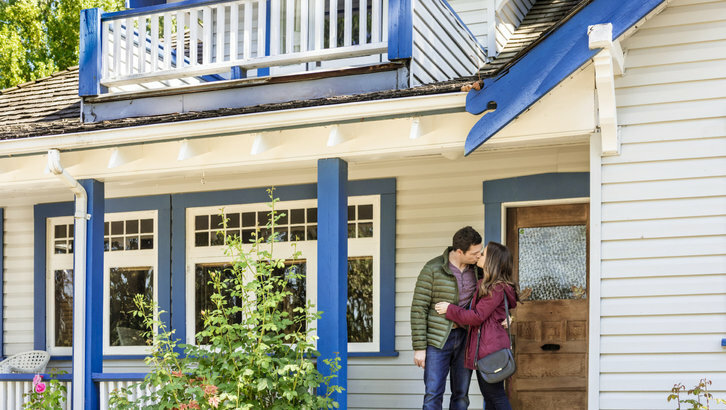 It flowed almost as if time had stood still – and here we are months later - watching Jenny and Brian live out their dream of opening the B&B, Emily’s Country Inn! All the sweet giggles (mostly from Lacey!) and special little looks between them- was all such a joy to watch! 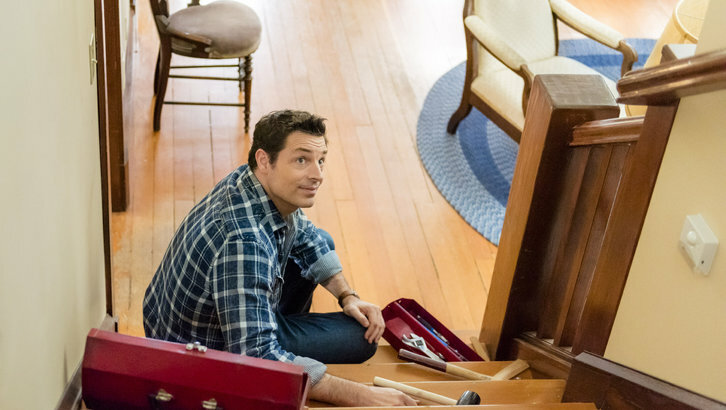 Seeing Brian doing his best to fix things around the home was, as expected, very sweet and comical, at times. The adorable goats were also back (albeit a different color) playing in the yard or in the barn. I loved when Brian gave them his old spreadsheets to eat… so cute! It exemplified, at that moment in the story, that his stockbroker days were through. Also returning, was much of the original cast, which was amazing, including: Casey (Heather Doerksen), Jenny’s friend from the coffee shop, Tommy (Daniel Cudmore), Brian’s helpful handyman guide and friend from the General Store, Vern (Edward Asner), the older man who sits outside on the bench of the General Store, Rusty (Drew Tanner), the mechanic, who hangs around the General Store giving Brian sometimes odd, yet good advice, Harry (Patrick Sabongui), Brian’s stock broker friend/co-worker, plus, Alice (Barbara Pollard), who is the dear next door neighbor and friend! There was, however, one role in the movie that was noticeably quite different, and that was the inn, itself. Unfortunately, the original gorgeous country farmhouse was already booked for another filming project and could not be used. I know many “All of My Heart” fans (myself included), sincerely missed that first stunning grand home, up on the hill, which was specially painted green in the first movie, by Brian and Jenny. The new home was lovely, too, but very blue, and just… well…, it just didn’t have the same unique charm about it. But, I did my best to overlook that, which was (I admit) hard sometimes and other times… easy to do- since Lacey and Brennan were such a delight to watch! 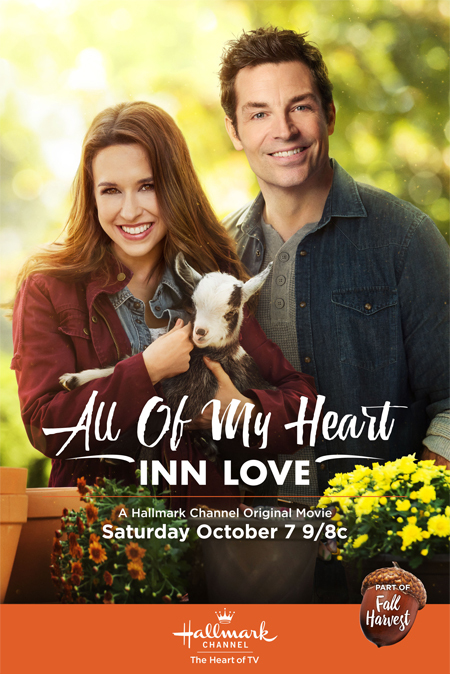 In “All of My Heart: Inn Love” just as Brian and Jenny are about to open the Inn, pouring more and more money into their dream, a storm hits the B&B, and the old roof doesn’t hold off the downpour of rain. Even though Brian obtains help from their friend Tommy, from the General Store, to help fix the roof, restoration isn’t cheap, and a chance encounter with an old colleague at the local fall harvest festival, while serving muffins, is all Brian needs – as he gets a taste of his old life in New York and gets a foot back in the door. Jenny holds down the fort, so to speak, opening the inn alone, as Brian travels back and forth, returning to his job as a Stock Broker in New York, as he’s doing his best to earn the money they so desperately need to keep the B&B afloat. The long hours of work and separation start to take a big toll on both of them and their relationship. Can Brian and Jenny make this work, after all? They both come to a fork in the road in their relationship and must decide which way to turn. Will their engagement withstand the distance between them? And, of course, so many of us devoted “All of My Heart” fans are hopeful for another movie in this series… perhaps Brian and Jenny’s wedding!!!" Absolutely a must see! Lacey Chabert and Brennan Elliott will win your heart over, once again, in “All of My Heart: Inn Love!” A delightful, family-friendly, romantic comedy movie - for all ages! The original "All of My Heart" movie is available on DVD! or Streaming Video - Watch HERE! The Sequel "All of my Heart: Inn Love" is available on DVD! Oh, I hope this will live up to All of My Heart!! I love that movie! I feel exactly the same way! But, I'm feeling pretty hopeful we'll love it, too! I was terribly disappointed with the sequel. The house was a major character in the first one - not just that it was a totally different style of house, but it doesn't look like it belongs in Pennsylvania Dutch Country, it isn't the green they had to compromise on, the railing he nearly killed himself fixing isn't there, the inside is totally different - no creaky stairs, no portrait of Emily, the quaint interior is gone. Ugh. Another important character was Gabby. Dalmatians are born white and acquire spots. Goats don't. Not just the twins, but even Gabby acquired spots. Not so cute. The porch swing they fell in love on is now in the middle of the yard! It was very confusing having her running back and forth between kitchens. How did she have time to bake? And take care of the Inn? The story did not do the characters justice. He would have been more frank with her about his situation and would have shared his concerns about their financial situation more. They needed more time alone on the porch swing hashing things out so that they were not so stressed. The characters sort of fell apart in this sequel and I felt so let down after looking forward to this for so long. I was equally disappointed in the new surroundings. I noticed right away and it just didn't feel right. I even watched the first one again to make sure I wasn't imagining a different house. The first one was very inviting as a B&B..big and beautiful..a nice place to stay. The new one? Not so much. I'm not sure why Hallmark felt the need to change everything? Kinda defeats the purpose of a sequel. The farmhouse in the 1st movie was contracted out to the show "Dierk Bentley's Holistic Detective Agency". They were filming for the series when AMOH2 was in the planning stage and they could not get that location again. 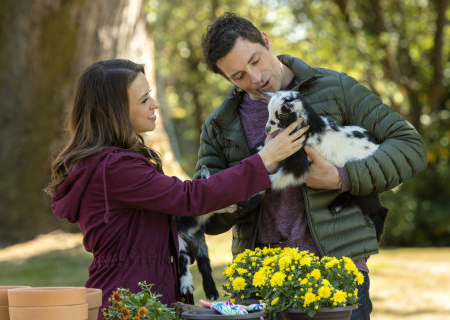 Of course, baby goats grow up, so the producers had to get young goats to continue the storyline. I think some dramatic licence was taken, but it was minimal and didn't ruin the movie at all. Still sweet, romantic, and entertaining. Net, I can't tell you how many times I've watched "All Of My Heart" and loving it more and more each time I view it!! 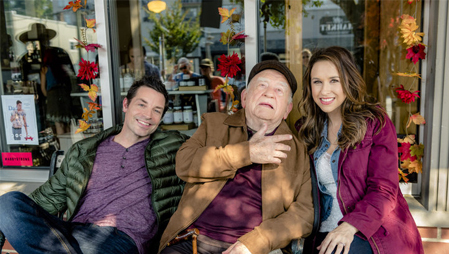 Brennan and Lacey are perfect together and I can't wait for "Inn Love" I didn't see Ed Asner's name in the list of cast members; sure hope he's in this one too. So true!!! "All of My Heart" is just one of those movies you can't ever watch enough! Right? Lacey and Brennan just light up the screen together!!! And, yes, Ed Asner is back! That is him pictured with Brennan & Lacey above. IMDB didn't have his name listed, but he is definitely reprising his role. I added his name above with his character's name! Ed Asner's name is on the cast list. 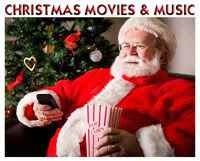 All of My Heart is among my favorite non-Christmas Hallmark movies, so I am really looking forward to this sequel! I was wondering what the plot was going to be for this one -- I was keeping my fingers crossed that it wouldn't be lame -- and I think they came up with a really good one! 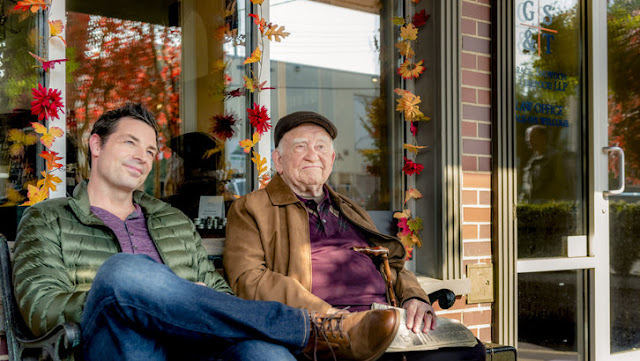 I'm glad to see Ed Asner is back for this movie (at least, I assume that's him in the pictures), but I'm surprised that he is not listed among the cast members. It is definitely one of those movies that is well-loved by many! "All of my Heart" has certainly captured many hearts since it first aired on Valentine's Day in 2015! Mine, too! As for Ed Asner... yes, that is him pictured above - he has returned for the sequel!!! The pictures have me looking forward to seeing more!!! Just a couple more weeks now. "All of my Heart" is one of my Hallmark favorites! Can't wait to see the sequel! Brennan & Lacy are perfect together! I noticed in the pictures there are more baby goats too! How can you not just love these movies! Hands down, my favorite Hallmark movie is All Of My Heart! I am looking forward to the sequel-I always thought since the first movie premiered that the storyline would be perfect for a series especially with the well rounded cast. Maybe the sequel is the start of more to come! Yay so glad Ed Asner is back with everyone! I was wondering since I also saw his name missing from IMDB. Thank you so much for adding him, Net! I second your Yay, Rae!!! I can't hardly believe, either, how many of the regular cast members are returning in this! Amazing! 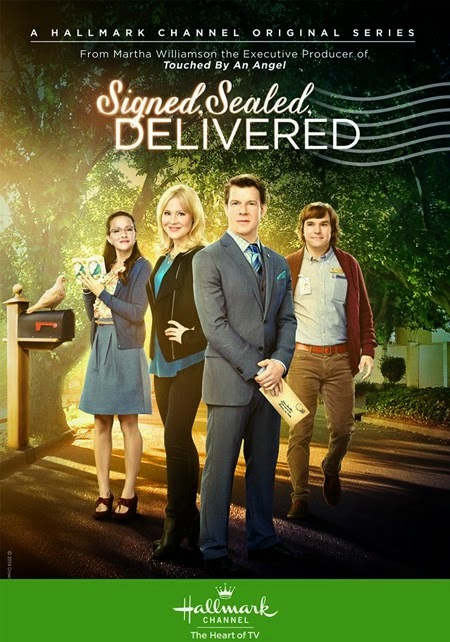 Aside from the various on-going Hallmark mystery series, it's pretty rare to have so many from one cast come back like this! Oh yes! That is Harry! I wondered if he was coming back as well. :-D I'm glad Alice is back too. I think I spotted her in the mini promo teaser on tv. So exciting! You and me both, Rae. With so much romancing gong on, I was hoping that Tommy and Casey would get together, as well. They seemed perfect for each other. In the first one, Casey was complaining about no eligible, good-looking men around. What? There's Tommy! I was ready for them to get together this time around, but he falls for a STRANGER. I guess she and Harry were making eyes at each other at the end, but how did Casey miss Tommy, and vise versa. The blogger and Harry would have been a better match. The original All Of My Heart farmhouse wasn't available, unfortunately, due to it already being previously booked by another company for filming. My friend Kerry, who blogs about Hallmark movie locations, shared this bit of news on her site- here: https://www.ivesceneitonhallmark.com/film-location-glance-heart-2/. I, too, just loved the original house! The entire story of the first movie was based around IT. Owning IT. Restoring IT. Jenny and Brian came together because of IT! Everything was about that house! I agree... it's a big loss to not have it return for the sequel. As for the goats, Lacey Chabert shared during a recent interview on Hallmark's Home & Family that the goats were re-cast for younger ones. Did they think we wouldn't notice its a completely different house than in the original movie. Goats are different colored as well. So looking forward to the sequel, but it looks like the Inn is a different house? Yes, unfortunately, the inn is different for the All of My Heart sequel. The farmhouse was already previously booked by another filming company. Too bad, huh? I know we are all so attached to that beautiful place and the love story that came - because of it! What's up with this sequel? Totally different inn, different goats! They re-cast the goats for younger ones, since the original Lucy and Ricky are too big now to play the part. And, yes... unfortunately, the inn is different for the All of My Heart sequel. The farmhouse was already previously booked by another filming company. Watching the sequel now. Really like it but very disappointed that the house/Inn has changed to a totally different one. And the goats are totally different. It seems they were so lucky to have the original cast return, except for the beautiful farmhouse! You think, oh maybe one of the actors or actresses might be previously booked on another project, but in this case, the house was already booked by another filming company during their course of filming. It's too bad, really, because that old beautiful farmhouse really added to the charm of the story. So unfortunate. No... unfortunately, it is not the same house. The original All Of My Heart farmhouse wasn't available- due to it already being previously booked by another company for filming. Disappointed in the movie. Different house, town, etc. They should have used the same set(town). It is rather disappointing to not have the original farmhouse return for the sequel. Unfortunately, that gorgeous, charming country farmhouse was already previously booked by another filming company. As for the other set, the original coffeehouse and general store were used, but the town did seem a little busier, than before. I loved the sequel. It was told before the movie came out there would be chsnges. Despite the changes, Brennan and Lacey were stellar in their roles. I loved the entire movie. It made me laugh & cry. I paid more attention to the love story of Brian and Jenny. Wonderfully produced, directed and acting ny all. Changes happen & we begged for this sequel and got it and hopefully we will get #AOMH3. The sequel had 3.9 m. Unduplicated viewers. It deserved the best movie. I loved their first movie, this new one has a different house than in the first movie. I'm a bit disappointed in this movie. Unfortunately, the beautiful, charming farmhouse turned B &B, was already previously booked by another filming company and could not be used for the sequel. I know many of us devoted All of My Heart fans missed it very much. Why didn’t they use the same adorable old house for the sequel? The big beautiful house they painted green together? This one doesn’t have the charm. Linda... I, too, just adore the original "green" All of My Heart farmhouse. Unfortunately, the beautiful home was already previously booked by another filming company and could not be used for the sequel. Brian and Jenny's love story is still amazing and something special, but... I, too, missed the unique charm and country setting of the original farmhouse. Hey, Net, I guess we have another Linda, LOL!! I, too loved the old house but also liked the renovations and "new look" of the one in "Inn Love"!! I loved this movie and between Brennan's comedic, quirky, antics and Lacey's wholesome sweetness, we have a couple made in Heaven. The one thing missing was the wedding!!?? Are we going to see another sequel? Oh, I hope so!! Yes, and it's such a lovely name! I am happy to have you both here!!! I loved the sequel, and want more!!! 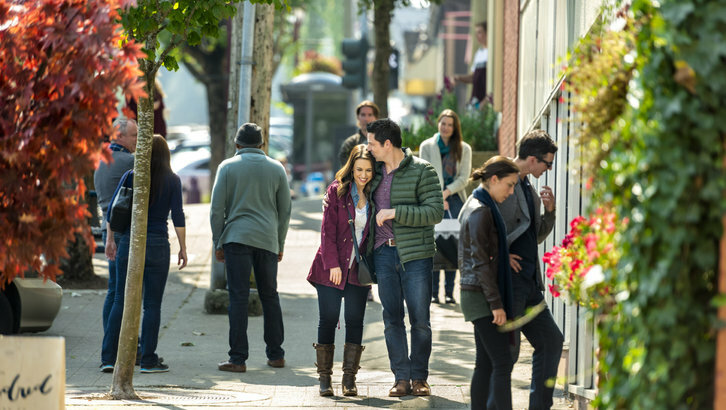 Lacey and Brennan are the perfect on-screen couple!! I want to see them get married in a 3rd movie, possibly? They are 2 of my favorite actors! very disappointed..waited patiently for this and I'm soooo disappointed..should have shown a wedding.. Does anyone know where I can find the soundtrack for the movie? The writers missed a chance when they didn't get Tommy and Casey together. They seemed a perfect match. Having Tommy fall for an out-of-town blogger, all the while overlooking Casey and vice versa, just didn't fit. It was like a match waiting to happen, and then it didn't. I agree! The woman he ended up with in the sequel was so boring! The house and town are different. They had to add the fact that it had been remodeled into the story but why wasn't the roof fixed when they did the remodel? Goats are different, and obviously the town has more than just a general store and coffee shop in the sequel. I think you have to look past all the changes because I think they did a good job dealing with the relationship itself. I think this one actually deals more realistically than most of the Hallmark movies where people fall in love after 2 days. I must be in the minority in thinking this sequel was like Groundhog Day: same plot (Jenny and the inn vs. big money in NYC), same ending (engagement). I, too, was puzzled by them trying to pass off the house as the same one. Also, I have never been to a B and B that serves breakfast when you arrive. You spend a night, then they serve you breakfast. It was odd. She was just being nice to serve them brunch when they arrived. She wanted them to be happy and give good reviews. I would love to know the name/brand of coffee mugs that Jenny and Alice use in the scene where Jenny decides to go to the cocktail party. Would love to know the name/brand of coffee mug Jenny and Alice are using in the scene where Jenny decides to go to the cocktail party. I did read about the first old farmhouse being rented out for another movie. Was dissapointed that it was not the same house or goats but the movie was still pretty good. Wish they would have gotten married at the end. Was wondering if the baby in the movie belongs to Lacey. Yes, that was her!!! Lacey shared via Twitter, while tweeting during the movie - that, indeed, that was her precious little baby girl, Julia... the one Brennan gives a high-five to at the festival! So cute! I only wish they would've shown her just a bit closer. The original movie was one of my favorites, but the house was the focal point of the movie. It brought them together, and they painted it green together! Also, you can't tell me that Hallmark couldn't find two white kids rather than black and white goats. The town was also very different. Hallmark's sequel didn't feel like a sequel. They should've waited until the house and location was available and recast goats that were the same color. The differences are very distracting to an audience and takes away from the story. 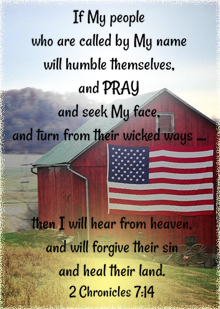 I am so glad I found this blog. Thank you for your insights into the movies. I'm so glad you found my site, too, Janice!!! Welcome!!! 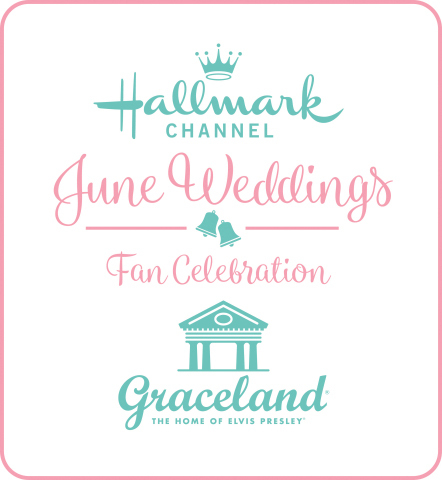 I hope you feel right at home here to share your thoughts on Hallmark movies anytime!!! I won't spoil the end of the movie, but I have a feeling you will enjoy it!!! I loved All Of My Heart: Inn Love and am extremely happy to see the original cast back together for this sequel. I hope that there is a sequel to this one with all of the original cast so we can see Jenny and Brian's wedding and their beginning married life. I am a huge fan of All of My Heart and All of My Heart:Inn Love. It would be awesome to add a third movie to this!!!! Well this movie was disappointing.They told the same story over again of the big city life versus the country life and Brian having to make the choice to give up his job for her.I was hoping for a continued story not a re-hash of the first movie.Add the fact that they changed the house and Gabby and the kids changed colors and it hardly helps tell a "continuing" story.I love Hallmark movies but really this was poorly done.If they wanted to tell another story and they couldn't get the proper house they should have had them both go to the city and tell the story with Jenny really trying to understand Brian's work and maybe make a compromise for him instead of him giving up his job for her again.They should have made this movie with other people and at least it would have been believable.To do it with the backgrounds all changed spoiled a good opportunity to tell us more about the couple not just a re-do of the same story. I agree!!!! When did Jenny become a helpless whiner? Ahhh. I was so disappointed in this sequel!!! I really liked the first movie, but this new one was just blah. Where was the background music? Where was the fun? I kept telling myself, “I’ll scream if Brian has to give up a job he loves and is good at.” Well. My entire street probably heard me wailing away. Brian loved the work he did, and had a real talent for it, but of course because Jenny pouted about not being the center of his attention, he decided to quit...again. This does not bode well for their future together. When one person in a marriage is always giving and the other always taking, a happy future will pass them by. So disappointed! I totally agree with you! I couldn't even finish the movie after their argument at the breakfast table in front of the guests. Everyone looked at them like it was Brian's fault, when she was the one that started the whole disagreement! I thought I was the only one who felt that Jenny was being unfair and selfish, but I'm glad I found this blog! In addition to the terrible relationship they created between Brian and Jenny, I was upset how they portrayed the out of town blogger "Denise" or whatever... she is basically strong and opinionated (coming off as incredibly stuck up and condescending), but just at the sight of a tall, good looking guy, she just is speechless and helpless. 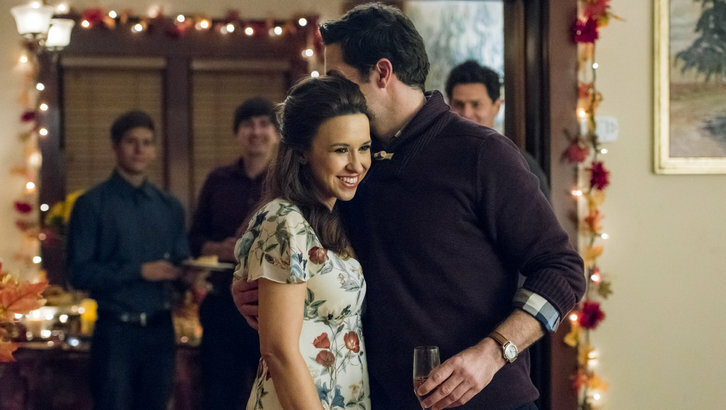 I don't know why Hallmark insists on making women weak, selfish, whiny, and annoying, while somehow trying to blame the male leads for the issues arising in their relationship... UGH. The way you feel about Hallmark putting more emphasis on their Christmas movies than the “All of my Heart” sequel is the same way I feel about Hallmark putting more emphasis on their Christmas movies than Hallmark Drama. They put all this effort into creating a new channel, letting everyone know three months ago that it would start on October 1st. 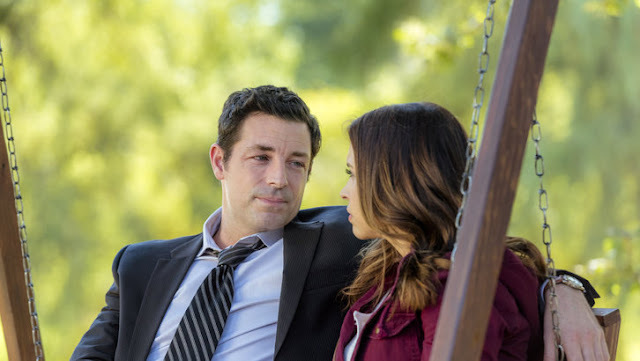 Well, it’s been a week since Hallmark Drama aired and no one has been able to watch it. 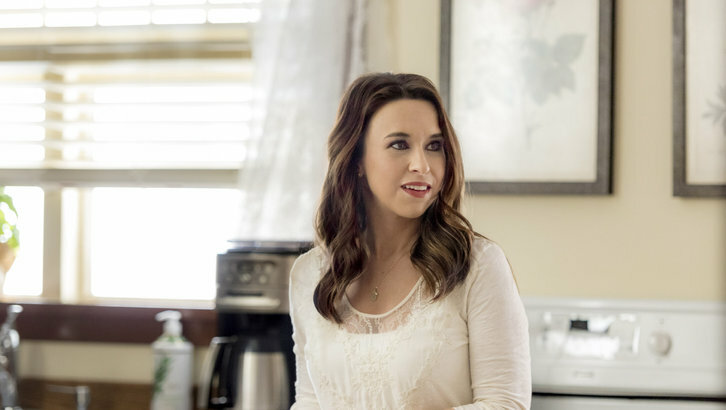 Meanwhile, Hallmark has made sure that their Christmas line-up starts right on time, even devoting time on Home and Family and creating two preview specials to talk about the line-up. To me, this seems like poor planning on Hallmark’s part. Glad to see I'm not the only one that was somewhat disappointed in this sequel. Not all was bad but the story line made no sense. They needed money to keep the farm and open the Inn. As the story goes I think they were teetering on bankruptcy. So Brian gets a job offer he wasn't expecting...a miracle so to speak, but instead of the writers letting Jenny support him while he made a very long dailey commute to save their home she's gets all "doubtful" that he loves her??? When she took that ring off I'm going "Whoa lady...glad you're not marring a soldier! Hallmark dropped the ball on this one! As for the house...that took a lot away from the "feel" of the movie, couldn't they wait until that house was available or build one like it? I know they could have found some white goats!! 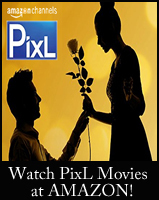 Will the movie inn love continued. There was engagement so when the wedding. I loved both. I hope it will be a saga. I hope to see a ending to the movie Inn love. There's an engagement so when the wedding. I hope it will be a saga. Sadly I had been so excited as I impatiently waited for this sequel to only be a bit let down. I have read the reviews and understand about the goats and house but I just keep thinking that those are some of the KEY elements that made up parts of the story. ESPECIALLY the HOUSE. So, I am sure it was a production thing but I still as a viewer disagree. I think that production should have held off until you had all the right elements. goats without spots may have helped. But the house was a no brainer. And you can still have Tommy paired with someone else. Not sure I think Casey is the one but who knows. But, I really didn't like the story line at all. But, loved the cast . Only person missing was Chef. But since there was no wedding guess you didn't need him. Thought he might give her away. I wanted a wedding not a repeat of the first movie and it kind of felt like that. But, I love Brennan and Lacey together. More movies please!!! The movie was all about Jenny. She came across very selfish and did not appreciate Brian as much as she should. Its unbelievable and unfair for him to quit his job again . I hope there is a third part to this movie. Hope he returns to work because it's not good for him to sacrifice for the attention seeker , Jenny. Relationships are about Give and take. Besides , he consistently tells her that he loves her, but she never says that to him. Brian is a great guy, caring , handsome. He deserves better. I loved the movie. 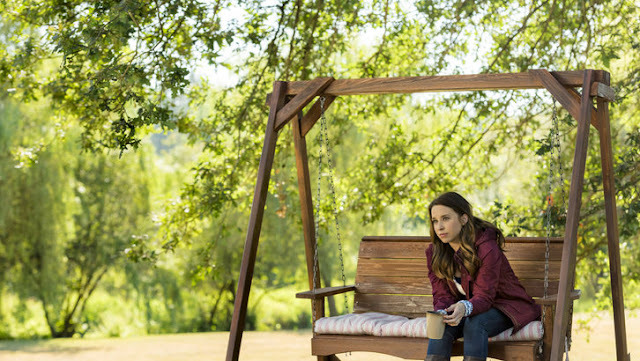 I love Brennan and Lacy together,and especially these characters. I would love to see a trilogy where they are married and having children. • A slow pace – This movie was so slow, that I was tempted to turn it off after 30 minutes. • A lack of conflict – About half-way through this movie, I wondered if anything significant was going to happen. In “All of My Heart”, there was a clear conflict between Jenny and Brian trying to figure out what to do about the house. With the sequel, the story had very little intrigue. • Repeating the story of the first movie – “All of My Heart: Inn Love” (especially the second half of the film) felt like “All of My Heart” on repeat. Any significant moment that happened was just something we’ve already seen before (example: Brian and Jenny’s engagement). Because of this, the story of this series didn’t progress or carry the events of the story further along. • Jenny’s persona/personality – To me, Jenny seemed more self-centered in the sequel than she did in the first movie. When she was spending time with her friend at the diner, all Jenny did was talk about herself. Even when she and Brian were preparing for the grand opening of Emily’s Country Inn, it seemed like Jenny cared more about buying things or making repairs for the inn than about the finances that would need to be involved. The main reason why Brian went back to his job in the city was to earn money so he and Jenny could pay for the repairs and purchases of the inn. To me, it looked like Jenny never appeared grateful for Brian’s willingness to help them keep the inn afloat. 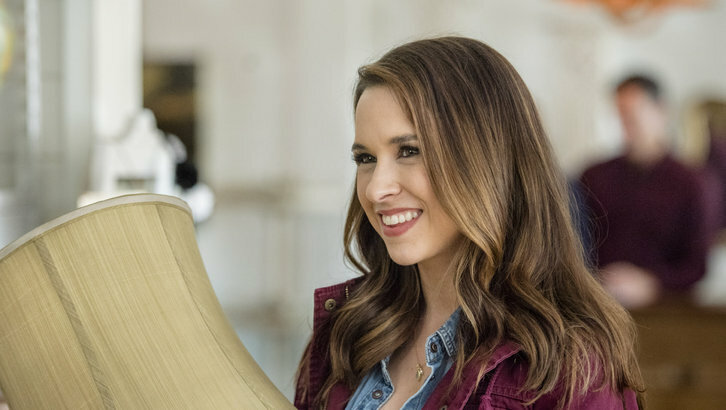 Looking back on “All of My Heart: Inn Love”, it seems like Hallmark gave their fans what they wanted, but not in the way their fans had wanted it. If there is a third “All of My Heart” movie, my expectations for it will be lower than they were for the second movie. Thank you for sharing that, RG! I, too, was just extremely happy to have our Brian & Jenny back... They could've filmed it from anywhere! Like you said, there were emotional ups & downs, and a few minor inconsistencies, but overall it was "All Of My Heart" and the magic was still there! Happy to hear you picked it up on DVD, along with "Uncommon Grace." That last one was quite an unexpected, yet very interesting, mystery!